The Jubilee Fund provided the financing that was applied toward the purchase of 627 Selkirk Avenue to house the Career Action Pathing Centre. This is a program run by the North End Community Renewal Corporation. The Centre seeks to provide support and counseling to unemployed residents in the North End as they implement positive life changes. 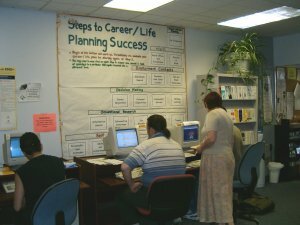 At the Centre, North End residents participate in a job search readiness program. The Centre links employers, employment agencies and potential employees. It also provides job specific training and mentoring to individuals as they work on and implement positive life changes. The Centre is “committed to developing a holistic community to help break the cycle of poverty and dependency on social assistance”.